ZeroStation’s new project aims to foster dialogue and collaboration within the Asian art scene. 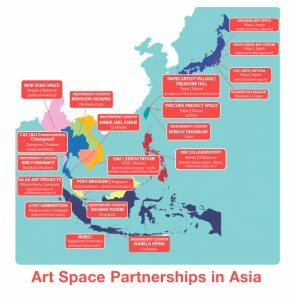 Funded and co-organised by the Japan Foundation Asia Center, the new project is launching on 28 August 2016, spearheaded by Ho Chi Minh City’s independent art space ZeroStation in collaboration with a wide network of partners in Vietnam and the Asia region. 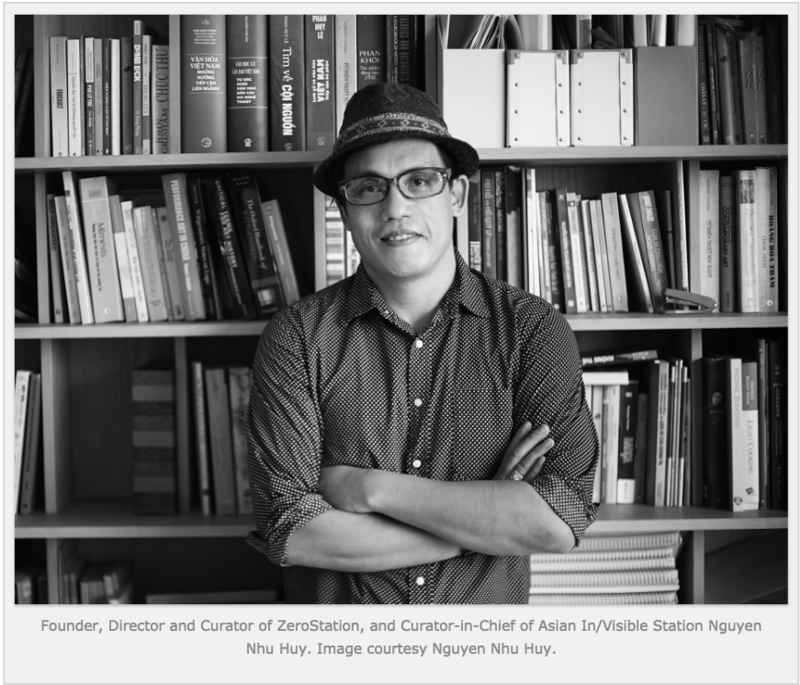 Asian In/Visible Station (AIS) is made possible by funding from Japan Foundation Asia Center and is organised and curated by Ho Chi Minh City-based independent art space ZeroStation, one of only two independent art spaces in Asia selected to establish an exclusive art project in the region (the other being CAC – Chiangmai Art Conversation). The ZeroStation AIS project will run for the first year from 2016 to 2017, and is about to launch with an opening event on 28 August 2016, held at one of the local partner spaces in Ho Chi Minh City, Cultural Salon Saturday Café. 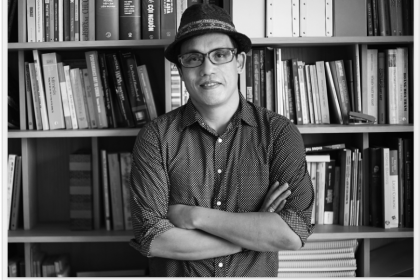 Art Radar caught up with ZeroStation Founder, Director and Curator and Curator-in-Chief of AIS Nguyen Nhu Huy to learn more about the unique project that will create a network of partnerships in Asia-Pacific and is set to give an exciting boost to the contemporary art scene in Vietnam. Why is the project called Asian In/Visible Station? Asian In/Visible Station is the concept created by ZeroStation for this project in Vietnam. There are many ways to interpret it. In/Visible is a play with words. At the same time, it is ‘in visible’ (a visibility in action), and it is also ‘invisible’ (not being seen). This concept covers all the ways we look at and do with this project. Firstly, we have to look at what we call Asia or Southeast Asia. This is in fact a political imagination. Under this imagination, all other possibilities of Asia are reduced, or worse, erased, so that they become invisible. In this circumstance, the visible aspect of other possibilities of what “Asia” or “Southeast Asia” can be that are not based on political rhetoric need to be made. We make ourselves visible: the visibility that breaks all the political norms that always reduce everything to propaganda. Now the visible opens up new possibilities that can go into an unknown world, based on individualism, not on collectivism. The visible now is also something that is not a condition but an action, in dialogue or even in conflict, which hopefully can go beyond all political correctness! Secondly, the play with words of In/Visible also aims to reveal and touch upon the essence of all contemporary artworks and project that are transparent to different points of view but at the same time might also be incomprehensible. These are the two faces, in essence, of all contemporary works and projects that open up to creative dialogues and that can continue the discussion in the mind of audiences after they have been shown. Here the visibility is NOT the exposed which follows the rhetoric of all commercial objects. In this curatorial circumstance, we prefer projects and artists who can push the work to go beyond the normal white cube culture. 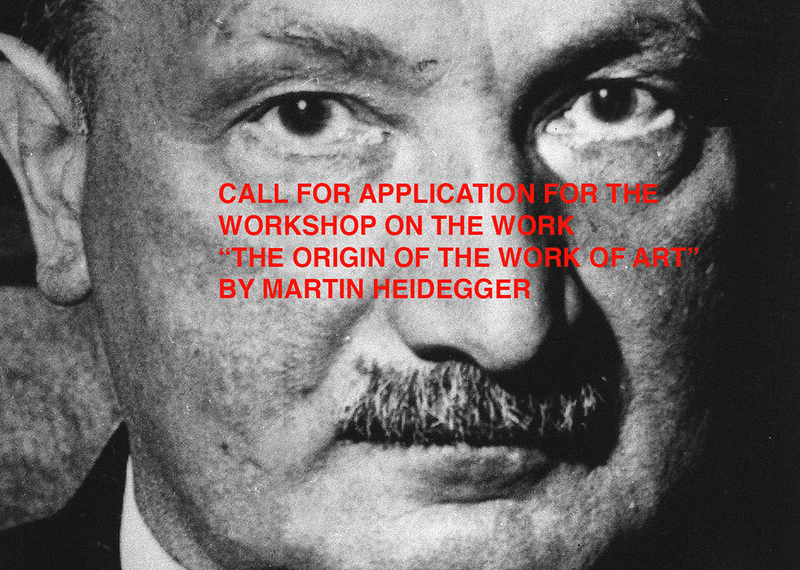 This means that such projects should be able to challenge their own visibility by providing an element of invisibility, in order to create a necessary sophisticated environment for all true contemporary works and projects to exist: an environment of conflict between dichotomies such as accessible and understandable, simple and transparent, sophisticated and confused. Regarding practical matters, for example, if there is a symposium proposal for the project, we would prefer to see it as something that is different from the normal or usual kind of symposium, which is full of images, in a closed room with high ceiling, a projector, Power Point presentations… of course we can do that and will do that if it is necessary in some cases. But we would prefer to be different… maybe it would be in the form of a group of artists/curators wandering all over Saigon and talking casually (with a camera to capture their exchanges and conversations). 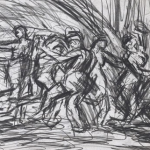 If you know a little bit about the Asian and the Vietnamese contemporary art scenes, you will see that the individuals and organisations all contain the In/Visible in themselves. Everyone [involved in the art scene] seems to know about them, but there are still many things they are hiding. We know just a little of their appearance in comparison to the many possibilities that at the same time they contain. Let’s take Saturday Coffee [the location of the programme launch on 28 August] as an example. This is a coffee shop and everyone knows about that, but it is also a cultural salon that every weekend introduces cultural and art discussions to the public. However, as the cultural hub downtown, it also contains other possibilities of being something more than a traditional cultural hub, in the way of a Cultural “Salon” as a more critical forum that is open to more challenging events. Arguably, we can see this in the list of artists and creative spaces in Asia and in Saigon as well. What do you propose to do with the AIS project? In/Visible, however, is also understood literally in terms of curatorial structure. We as ZeroStation try to be invisible in terms of curating, so as to be only visible in terms of facilitating. The reason for this way of operating is based on our concept of the space – Zero. Zero Station is only a platform for others to make dialogues happen. We have no essence. You can go on our website to play a game in order to understand who and what we are. Through AIS we create three kinds of partnerships: 1-local artists, 2-local creative spaces, and 3-Asian individuals and organisations. Here Zero Station will work as facilitator to create four structures to open up to the possibilities for all the partners to collaborate together. We will create a platform for young critics in Asia to come to Vietnam to do research for a maximum of ten days. Each art critic/curator/researcher will work individually with one young local artist to produce a text or an interview at the end of the researching time. The collaboration between local artists/collectives with Asian artists/curator/researcher. In this structure, one Asian curator/artist/researcher will be invited to Vietnam (suggestion from local artists/group by proposal or invited directly by ZeroStation) to work one or one and a half months with local artists/artist collectives. The platform of the workshop. In this platform ZeroStation will invite experts in Asia to come to Vietnam to share their techniques and ideas with local Vietnamese artists. Each workshop can last a minimum of one week to a maximum of one month. What is the significance and importance of having such as project right now in Vietnam? I think the project comes to Vietnam at the right time. This is the time we need to sit down to think about Asia in a richer way than what we have done before. As we all see, Asia now, the same with the world, is facing a lot of dangerous and challenging times in the political sphere. A new fundamentalist nationalism is coming up dangerously under many forms from many corners of Asia. Many fundamentalist ghettos are established to prevent creativity and differences from forming. So this is the right time for this kind of project to be born within Asia. I like to see this project not about Asia, or ‘Asian-ness’, but a forum for us to think about Asia or Asia-ness in a creative way. We are not only thinking about it, but by practices, by debating, by opening up for new possibilities to occur, we are making the condition for the possibility of it to emerge. Here the invisibility can be the rhetoric for the visibility and vice versa, which makes both the invisibility and visibility not the conflictual relationship of political power but the two organic parts of a true existence that can leave space for the existence of otherness. How will you be developing your partnerships with other Asian spaces? How will you involve them in the project? During about ten years my work has brought me all over Asia and I have met many creative people who are either artists or organisers and who have shown and taught me a lot through their practices and wise thinking. They have shown me different ways to think about Asia, about contemporary art, about the relationship between art and life, art work and community. I found that there is a new and different way to think and work with contemporary art. All of the organisations and individuals who are partners in this project I have worked with before or know pretty well. I did not just approach some famous names to add value to our project, but I chose them because I really want to work or to discuss with them within this platform. And what I’m sure about them [the partners] is that they are building a new way of seeing Asia, seeing the contemporary art in Asia, seeing the new meaning of artists within society. That’s what I would love to be part of and I would love to introduce to Vietnam. I really hope this project can be the platform for us to think and work on a different vision of Asia, contemporary art and collaboration. Although agreement to be part of the project is a great thing, the hard work and challenging times will come very soon, when we and the partners will have to think about how we can work together in the most creative way. We as ZeroStation team are thinking and working on this very hard to find a way to work together. 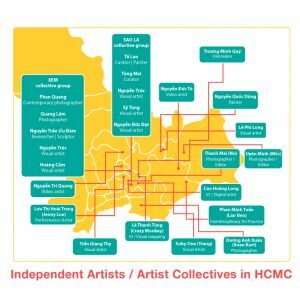 Finally, can you explain more about what the development of local partnerships will bring or add to the art scene and its development in Ho Chi Minh City and Vietnam? I think the importance of the project is not what it brings literally to the art scene. Of course, there are many positive things that will come of it. However, the most important thing about this project is that it opens up the possibilities for us to see each other, to be visible in the eyes of each other. This is what we call the condition of possibility to work together in the future. For example, all the partner creative spaces in town, can open the collaboration together as well, which can go beyond the framework created by ZeroStation. 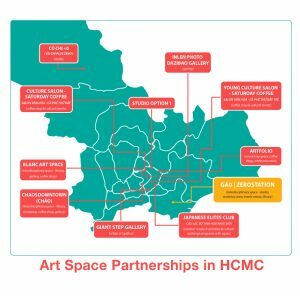 The creative spaces in town, which includes galleries, hotels and alternative spaces, artist studios, etc., can also work directly with Asian artists and the organisations who are partners of the project. And of course, the artists in Vietnam have more opportunities to work collaboratively with artists/curators/researchers and organisations in Asia. Seen from this point of view, this project’s best aspect is that it can create the possibility for, not only create, new projects.